Kitsukito seafood in Toyama Bay, Yamanuki in Uozu Kitayama fully. Enjoy Uozu's seafood throughout the year! 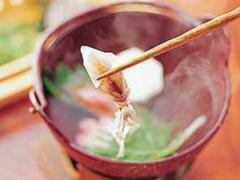 Which seasons you visit, how many times you can visit the Niemonya cuisine, the culinary Niemonya is Uri. Please eat delicious seasonal dishes of Toyama bay seafood, Uozu Kitayama's mountains, Toyama plain. Please also look forward to breakfast. 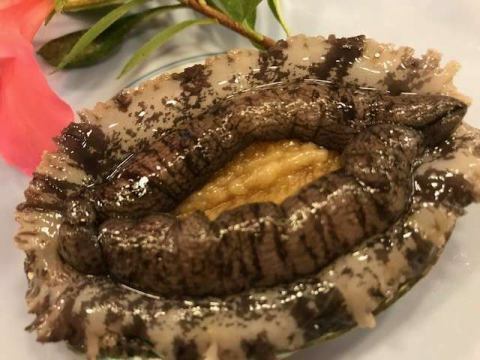 Have you ever eaten raw firefly squid? 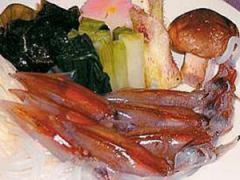 We will serve seasonal firefly squid with creative dishes of plate length. Among them, the main is "popular firefly squid shabu-shabu wind kettle fried"! You can enjoy the honoka of the prepuri. 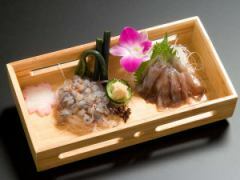 In Toyama, consumption of kelp is the best in Japan, and we incorporate kelp into the dish as well. 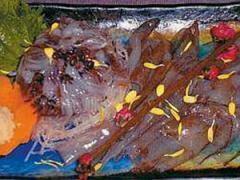 One push firefly squid kelp baked is exquisite! ■Why do not you watch the blue shining firefly squid?  If you are interested, please do not hesitate to contact us! 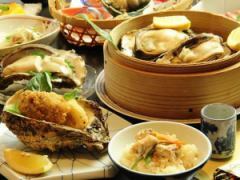 The only "rock kid plan early summer, the rock brat plenty of thick-roundhouse "seafood steamed"
Purifing raw rock, including oyster vinegar, appetizer flower basket, fresh sashimi, plate length creative dish, kamamei, dessert etc. 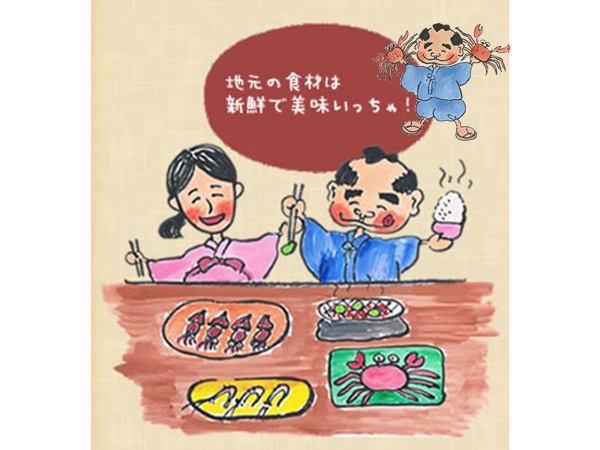 The book of the Niemonya's book of rust crabs is a course used live books of rare crabs 2.5 luxuriously. Steaming books "steamed rice crackers" that steamed all the way from "Honkabi crab wash" which tastes fresh crabs and "Kan miso shell cook" of Honjo inspired passion. 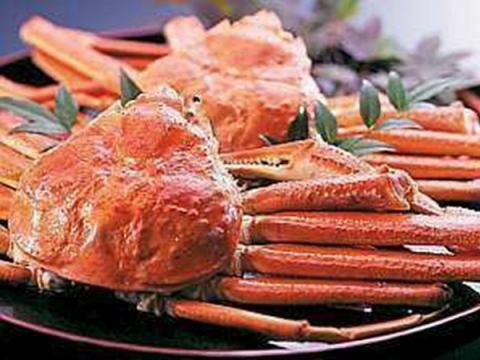 ALL Activities Passion passion course using cracky crab is a popular course in winter where you can have crabs full of your stomach. 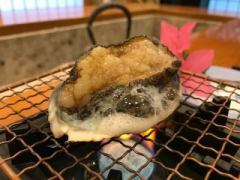 Queen of taste of winter "cold weather"
I would like to enjoy the cold weather fried locally, not only Himi but also to my heart's content. Write "Master" to "fish" and "鰤". "Master" is also said to be good because the fat rides on teacup (December). The winter seasonal ride with the most greasy ride before December spawning season is called cold dust. In the migration of the Sea of ​​Japan, it goes south from fall to early winter. The cotton that was tightened in the cold sea in the north is taken to living in Toyama exactly in December when greasy greeted, bearing egg laying.It's not only fat but it's also tight. That is the reason for the deliciousness of cold weather in Toyama. 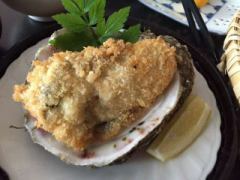 【Part 1】 Fish is delicious! 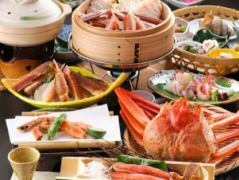 Uozu City Kitayama reason why the fish of Niemonya is tasty even though it is a mountain-ravine in Uozu City Kitayama at Uozu City Kitayama is located at that location, which is 15 minutes each way to Toyama bay! 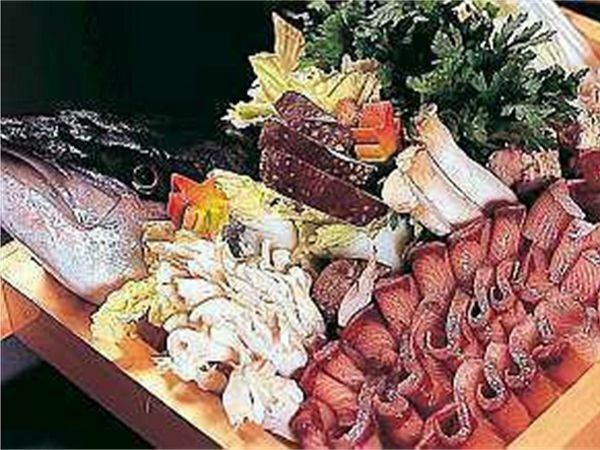 Because sea and mountain are close, seafood and wild vegetables of Kitsukitto are very delicious. 【Part 2】 Confidence in the ingredients! Every morning the chief chef goes to the market, examines directly with his own eyes and chooses fish.I am confident in that freshness! 【Part 3】 Passionate about seasoning! 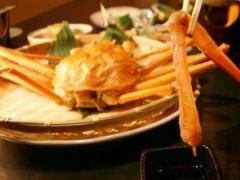 Namingkai who appreciate cooking also sticks to local things.This is a proof of local production of local consumption! Miso | Local passion Using Miso of Miso Shop "Miyamoto"
We offer monthly exchange special cuisine with seasonal seafood as the center. 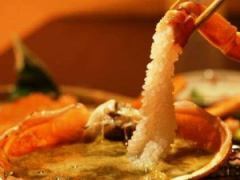 A quiet kimchi seafood goes into a cute little bowl or a bamboo basket and is also vivid to the eyes! 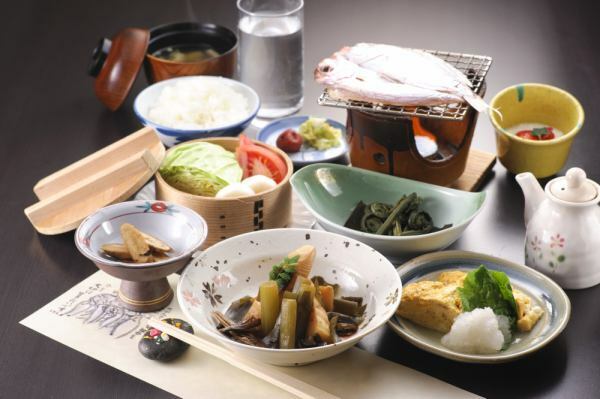 Please enjoy the four seasons of Uozu Kitayama, which is close to the sea and the mountain. Niemonya also does not break out for breakfast! I will take it from the morning. Please enjoy the famous water flowing from the North Alps at breakfast. There are local wine and ground shochu. 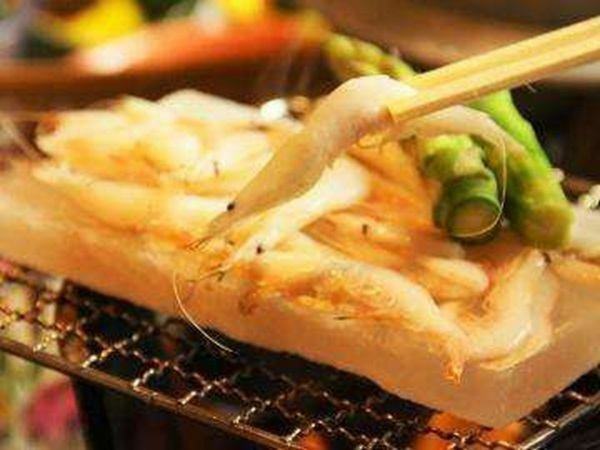 "the jewel of Toyama Bay" Please enjoy plentiful white shrimps with rare seafood from local Toyama bay. It is a light pink shrimp inhabiting from 100 to 600 meters in depth. 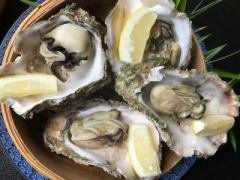 Mysterious ingredients with an ecosystem in deep ocean water of high mineral. 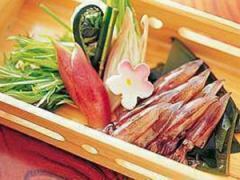 Also known as "the jewel of Toyama Bay" "Lady of the Sea"
It is one of the delicacies that represent Toyama. 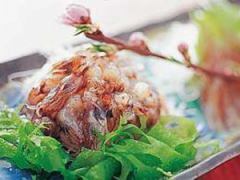 "Toyama Bay's enchanted creature" Please enjoy a fantastic firefly with plenty of fresh seafood from Toyama bay. 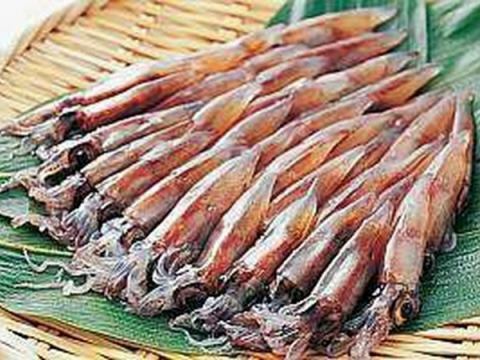 It is said that "Toyama Bay's enchanted creature" is a small squid seen in Toyama Bay's enchanted creature around 3 to April every year. The blue light that shines like a star shining in the night sky in Toyama bay has a magical charm to invite what you see to the mysterious world.Its fantastic atmosphere is famous throughout the country, but its taste is also excellent. "Spring" With just a gem that can be tasted only in this season, you can enjoy the sashimi of KITOKITO only for a short period each year. 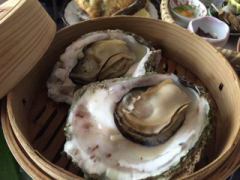 Please enjoy plenty of variety of cuisine with carefully selected rock oysters from the local Toyama bay. I am fat to prepare. Rich and creamy sweetness is exquisite in any recipe! 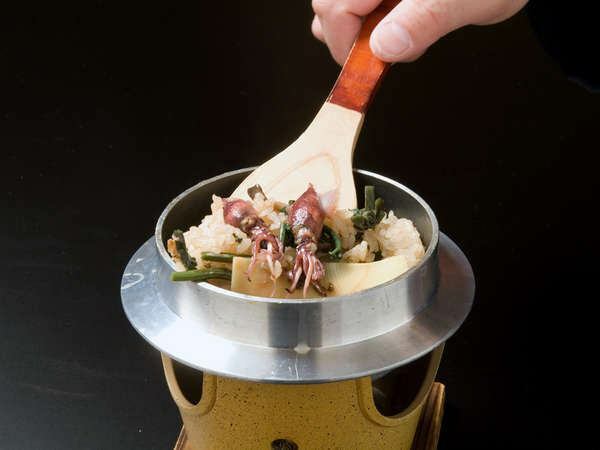 Activate book crabs fried in local Toyama at the fish preserve and cook on the day. Please enjoy the various flavors of this fine crab. 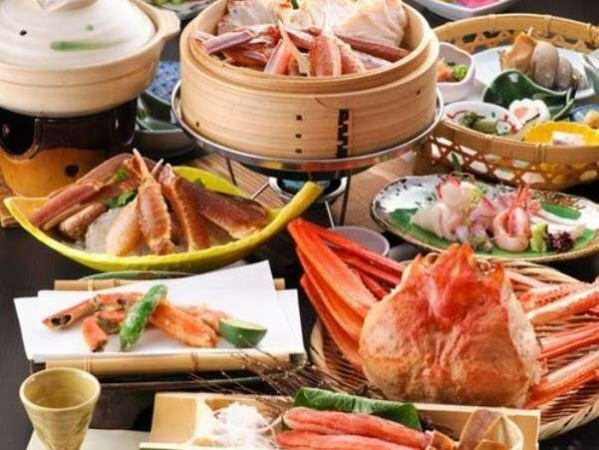 More than "Matsuba Crab" "Tsuiyama Crab, " "Echizen Crab" "Kano Crab"
There are various ways of calling, but please enjoy all the books together. 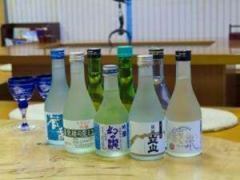 Please enjoy the local sake of Toyama born from the groundwater of the North Alps. We have a large selection. 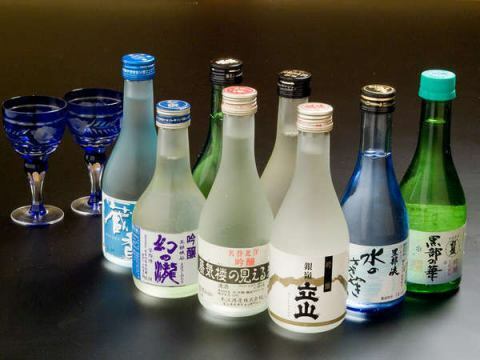 Toyama's local sake such as Kurobe no Hana · Zoka is very popular!